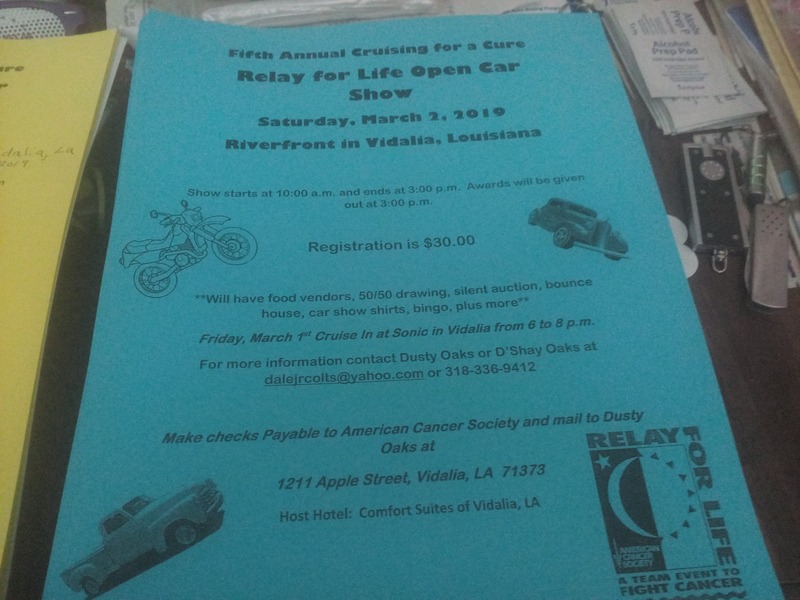 First 100 get dash placks , goodie bags, door prizes, car show shirts, Comfort suits host hotel in Vidalia Louisiana , Bingo, dj , slint auction, 50/50 drawing, ladies drawing, food all kinds, vendors saleing there product of all kinds, bake sale, jump house for kids and kid games, all proceeds goes to the American Cancer society !! Day before the car show that Friday evening from 6:00 pm to 8:00 pm ? A curse in be at Sonic here in Vidalia Louisiana ! !